Hi my name is Nike Bottalico from https://www.etsy.com/shop/Objectsandoddities. I am participating in the Build a Line Challenge with B’Sue Boutiques (http://www.bsueboutiques.com/) which will span over three months and three total blogs. 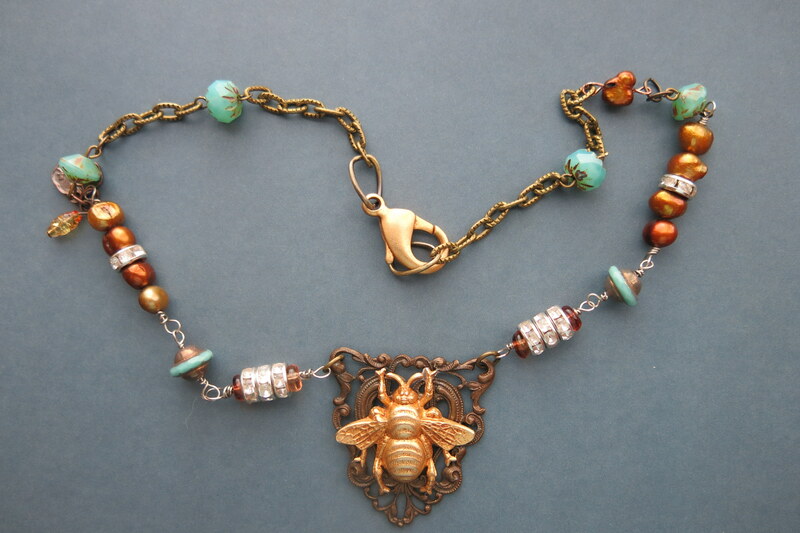 I am very excited to be included in this wonderful master training class, taught by Brenda Sue Lansdowne and learning how to build a cohesive line of jewelry! I chose to participate in the challenge so I would become more clearly defined as a jewelry artist in my designs and style. 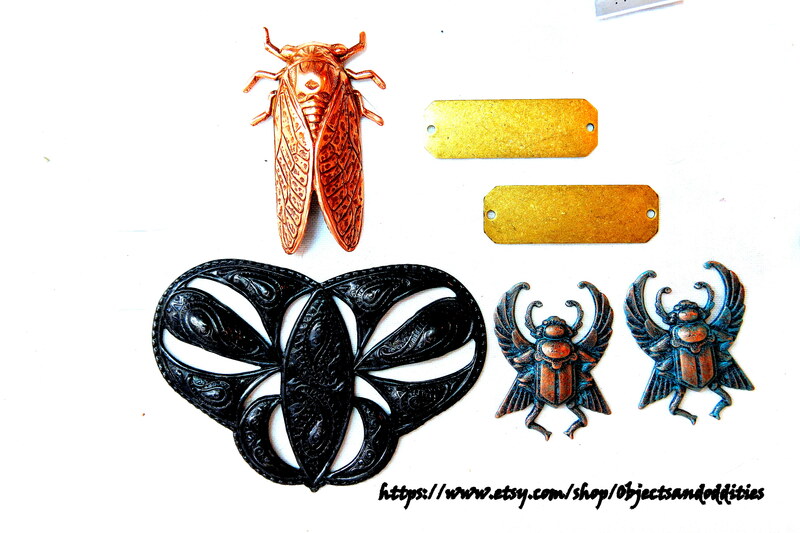 I would like to start to develop “Limited Editions,” of my work for my customers. 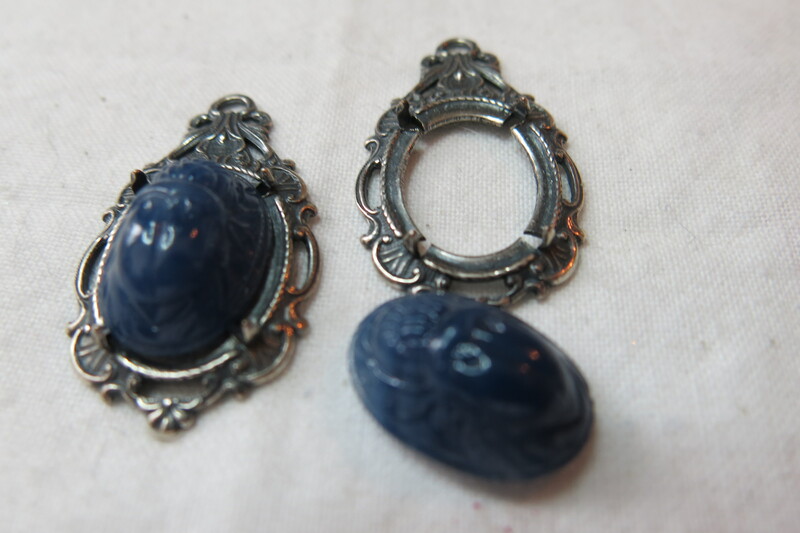 I am using 1920s Egyptian Revival / Art Deco Jewelry as a design style to begin my artistic journey. I have always loved to read. As a child I poured over each month’s the National Geographic. 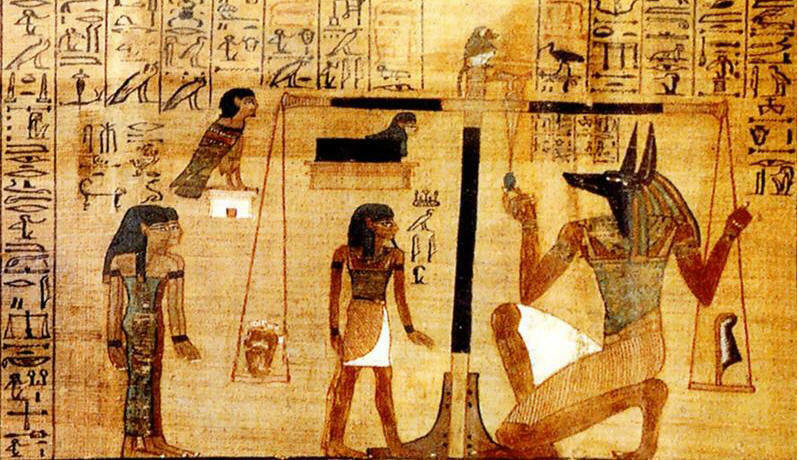 I have always loved Egyptian Art. 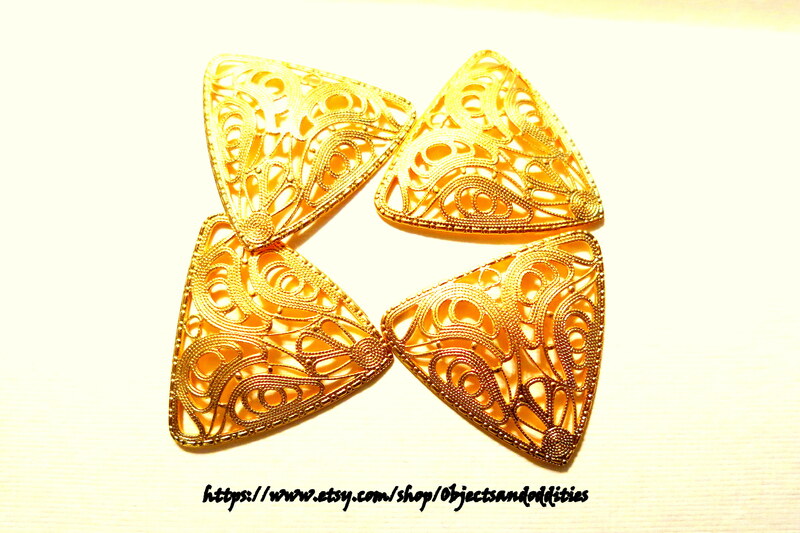 Also, I will be making at least 5 items for the collection and an example of my line is of a B’sue Filigree (is below) plus a scarab beetle which was popular during the 1920s when when King Tutankhamun’s tomb was discovered in 1922. I am very eclectic with my style and hope through this challenge to hone my skills! Wonderful, Nike! Looking forward to seeing your creations! Thank you for reading! I am excited to see everyone’s work! Thanks for reading and I am really excited! Egyptian revival! That’s a fun theme! Looking forward to seeing your designs! What a wonderful theme you chose Nike. Love it! And I love the colors you’ll be using too. 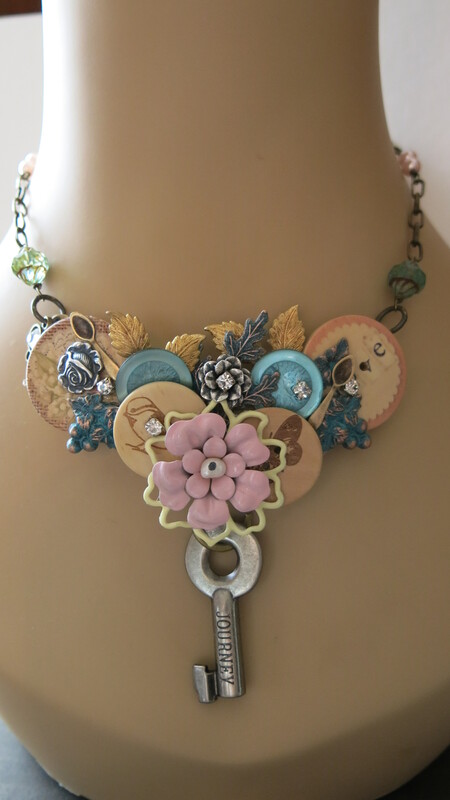 Excited to see some of your creations in the next blog hop. Thanks and I am excited to see what you do also! Thanks Dana, I look forward to all your creations! 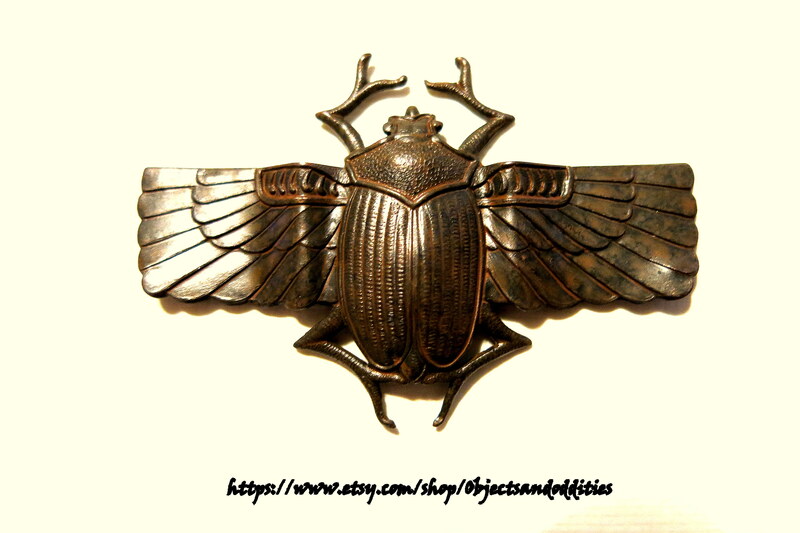 Ooh, I adore scarab jewelry and was obsessed with Egyptian art and history when I was in elementary school. Looking forward to the reveal of your line. Cool! Me too Tammy, thanks for reading! Nike you have an “Artful Soul”. As you paint a picture with your words, likened to moonlight caressing my dreams! Art Deco is one of my favorite periods, and I’ve always been a fan of ancient Egyptian history, so I’ll be interested to see what you come up with. thanks I am super excited. I love Egyptian History too! I am glad to be on this journey with this group and you! I think you’ve got a winner with your theme. Thank you Autumn, I am excited to working and playing with you all on this challenge! Marvelous choices. I love these women you’ve chosen to surround us with as we read. I’m Inspired by the beauty of the whole post. thanks so much Teresa~ I am so inspired by all of you! thanks so much Sandie!! I appreciate your words! I love the theme you are working with, and I think it goes well with your style. I have always admired your work, loved the seeing the pieces you have done. It is going to be a great journey! thanks so much Gina, I feel so honored you said that! Thanks for the comment too, my blog seems hard to comment on! Thanks Elizabeth so much! I am so excited to be in this class with all of you! I am learning so much! One of my favorite historical areas to read, Egyptology. 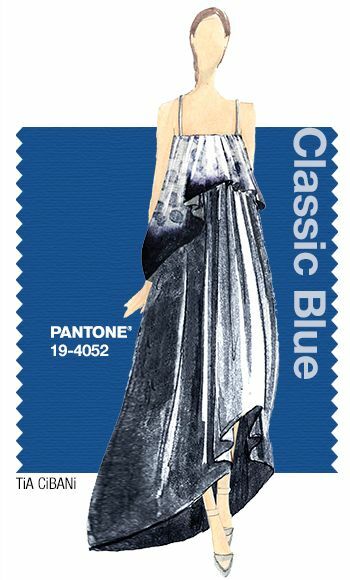 I’m excited to see how you merge this with Art Deco, another favorite of mine! thank you so much– me too! I am really excited to see everyone’s work! Ooh, Egyptian Revival is exciting! I can’t wait to see how your new line turns out! 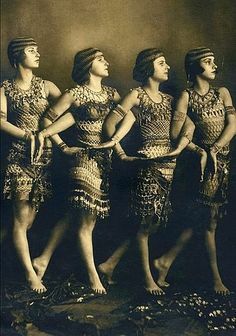 Nike, the Egyptian and Art Deco combination is fascinating. Can’t wait to see what you develop. Nike………looks as though you are going to create a fascinating and lovely line!! What a cool theme! 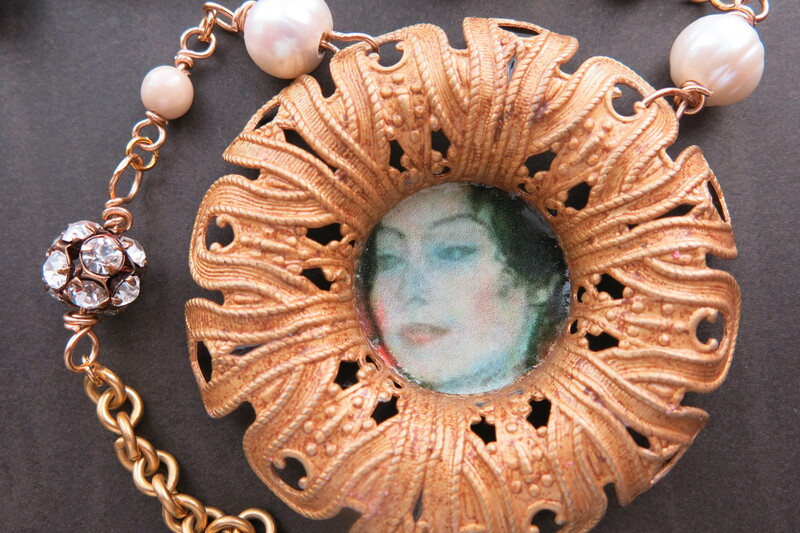 I’ve always loved the look of 1920s jewelry. what a lovely comment maria! Thanks so much! Thanks Ellen. I am really excited about this!!! Thanks so much! I so appreciate the comment! Wonderful blog and post, and I love you design for the challenge. I’ve always been a fan of yoyr beautiful jewels. XOXO! ohh thanks Linzi!!! yes I love that color, I will be using others also~ thanks again! Nike–Wow, I finally found how to leave you a comment! Your Egyptian theme is inspired and the components you showed us so far will fit in beautifully. I’m really looking forward to seeing your new unique line! Thanks so very much!! I love yours also! Love it! I have never played with the bugs. I am having fun. Thank you so much for commenting!